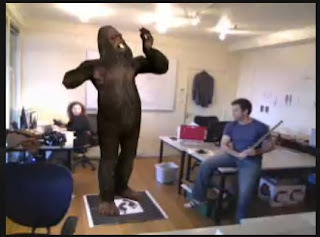 Living Sasquatch takes user-generated content to the next level and marries it with social networking by allowing users to control a virtual Sasquatch and share their interaction with friends. MINONG, Wis., April 27 /PRNewswire/ -- Jack Link's(R) Beef Jerky, the leader in the meat snack category, continues to keep Jack Link's fans coming back for more with the launch of LivingSasquatch.com. 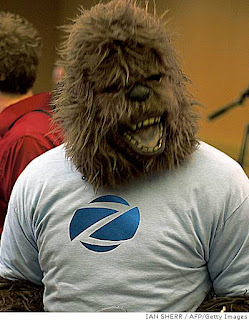 Leveraging the success of the brand's Messin' With Sasquatch ad campaign, Living Sasquatch brings Sasquatch - the world's most elusive creature and Jack Link's brand icon - to life using cutting edge technology and consumer creativity. "Jack Link's has been a trend-setter in the snack food category when it comes to social media and was among the first to use sites like MySpace and YouTube to help tell the Jack Link's story," said Jeff LeFever, director of marketing, Jack Link's Beef Jerky. 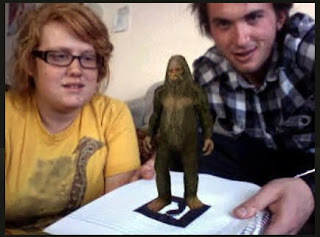 "Living Sasquatch continues to push the social media envelope by coupling user-generated content and social networking to create a unique experience that allows Jack Link's fans to add their personal touch to their Sasquatch interactions by creating signature films." 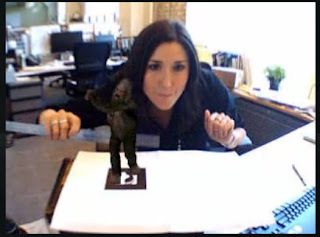 Position webcam on Footprint and watch Sasquatch come to life! "Sasquatch has been wildly successful online, and we wanted to give that community more ownership of the brand by creating new ways for them to interact or mess with Sasquatch and the brand that he embodies," said LeFever. "Living Sasquatch not only gratifies the hundreds of thousands of current brand and Sasquatch loyalists, but also provides a great platform to introduce Jack Link's to new audiences and build brand awareness." Since its inception in 2006, Jack Link's award-winning Messin' With Sasquatch campaign has included television, online and social media components, public relations, mobile marketing and sports sponsorships. The popular campaign's 12 broadcast spots have spawned millions of views on YouTube; a dedicated interactive Web site (messinwithsasquatch.com) that receives millions of visits per month; auctions of Sasquatch's belongings on eBay; T-shirt designs on Threadless, photo albums on Flickr, and product reviews by Sasquatch himself on Amazon.com; not to mention the hundreds of knock-off and fan videos circulating online. Jack Link's - Feed Your Wild Side. Headquartered in Minong, Wis., Jack Link's is the No. 1 U.S. meat snack brand and fastest growing meat snack manufacturer worldwide. The Jack Link's brand represents a heritage of quality and consumer trust. Check out www.JackLinks.com for more information about Jack Link's brand. As you have read on the previous post Top 51 Bigfoot Movies. You all know how I feel about stories turning Bigfoot into the monster-of-the-week. I don't care for that exploitation of Bigfoot among those who consider themselves scientific researchers. However, in the hands of a slasher movie being true to its genre? I say go for it. Watch this preview and if you are a fan of classic slashers that made Jason, Michael and Freddy so popular than I think this may be in the same vein. The director is no Stanley Kubric (who is right? ), but as you can see in the preview, the composition of the shots and the lighting of the scenes did not go without art or craft. In case you have just joined us, the R in BfRLC is no longer with us. Although R was a strong member of the BfRLC, R has decided to move on to other things. We wish you the best of luck and, as we honor all who do what they can in the service of Bigfoot....We salute you, R.
The West Coast is the stomping grounds, literally, for the mysterious, elusive beastie whose aliases include sasquatch, yeti and ZZ Top guitarist. While most sightings and related sites are in Northern California and the Pacific Northwest, there are plenty of places to get into the Bigfoot spirit, if not actually follow in big footsteps. And you know what they say about big feet - there's always a festival or a souvenir stand somewhere nearby. Legend has it that Happy Campers have been spotting Bigfoot and his kin for more than a century, although in recent years most of the related action is at the annual Bigfoot Jamboree on Labor Day Weekend. Festivities include a parade, a concert and the crowning of the Bigfoot Jamboree Queen. The town, about 15 miles south of the Oregon border, occasionally holds the Bigfoot Summer Games on Memorial Day weekend. Visit the statue of the big guy (made entirely of donated scrap metal), and at night, bed down at the Bigfoot RV Park and Cabins, 112 Davis Road, (530) 493-2884. For more, call the Happy Camp chamber at (530) 493-2900. Unlike many "museums" with a Bigfoot angle, this one isn't a glorified gift shop that can be towed to festivals and county fairs. There's a curator, permanent walls and, most important, a reconstruction of a Gigantopithecus blacki, the extinct towering primate that is considered the closest kin to modern day Bigfoot. The full-size replica was built for the museum based on Giganto skeleton specs. 1350 El Prado, Balboa Park, San Diego, (619) 239-2001, www.museumofman.org. Not a lodge in the "lodging" sense so much as a hippish dive bar in a log cabin setting or, as one Yelp reviewer put it, what you get when you "mix Yosemite and Los Angeles." The waiters wear Boy Scout shirts, there's a huge sign for Sasquatch National Park and the drink menu includes the Toasted Marshmallow, the Sasquatch and the Girl Scout Cookie. Beyond that, there's not a lot of connection with the bar's namesake, although after a few Toasted Marshmallows, you probably won't care. 3172 Los Feliz Blvd., Los Angeles, (323) 662-9227. (There's a sister bar in San Francisco at 1750 Polk St., (415) 440-2355) www.bigfootlodge.com. This tiny town lays claim to Bigfoot heritage and backs it up at the Bigfoot Museum (more accurately, the Bigfoot wing of the Willow Creek-China Flat Museum) and an annual Bigfoot Days event with a parade, live music and a disc golf tournament (which sounds UFO themed, really). It's also where the most famous Bigfoot footage was filmed. Museum: 38949 Highway 299, Willow Creek. (530) 629-2653, www.big footcountry.net. Bigfoot Days are in downtown Willow Creek on Labor Day weekend (Sept. 5-7). The last reported sighting of a hulking, hairy biped (other than surfers) in the Santa Cruz Mountains was 1980, but that didn't stop a Felton couple from starting the Bigfoot Discovery Project and related museum in 2003 "to encourage the nonexploitation and preservation of Bigfoot." The museum has plenty of high-minded resources about the study of Bigfoot - as well as kitchy, fun stuff and souvenirs for entertainment value. Get photos with the cool statues. 5497 Highway 9, Felton, (831) 335-4478, www.bigfootdiscoveryproject.com. I am delighted to say we have raised the bar as far as journalistic excellence. 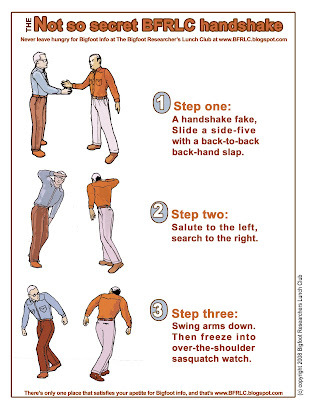 This post is filed by our newest Bigfoot Lunch Clubber--and yes, he know's the handshake. Michael McLeod gave a reading at Powell’s Bookstore on Hawthorne St. in Portland, Oregon, last week on April 23rd, for his new book called Anatomy of a Beast. 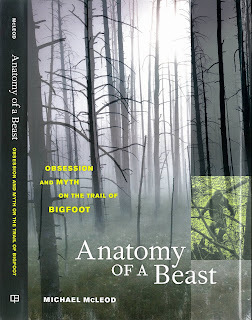 The subtitle of the book is “Obsession and Myth on the Trail of Bigfoot.” According to McLeod, this book isn’t so much an examination of the existence of Bigfoot, which he says is an absolute impossibility, but a look at the some of the people connected to the spreading of the Bigfoot myth, namely Roger Patterson. As readings go, it was exceptionally dull for such an interesting subject. For a while, it seemed as if he was filibustering his own meeting, reading several random, seemingly endless, selections from the book, dragging out the time, so he wouldn’t have to answer or take questions from the audience. It was only after he started to take questions that things became interesting at all. I found it somewhat ironic that he commented that people who believe in Bigfoot will look at any piece of evidence and never question it because they’ve already made up their minds as to whether Bigfoot exists. Yet McLeod said that even if the Patterson footage looks believable, it can’t be true because Bigfoot doesn’t exist—it’s just not possible. It seems like flipsides of the same coin to me. While the book may be a good read—the bit I read in the bookstore seemed well written enough—McLeod’s own patronizing, dismissive take on the subject did nothing to encourage me to buy or read his book. 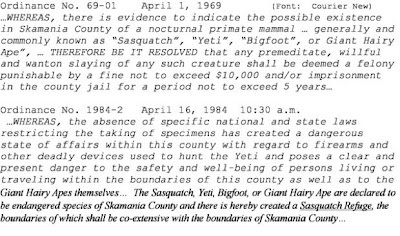 No matter what you believe about Bigfoot, if you write a book about it, you should be prepared to have fun with it, especially in a public venue. No fun was to be had at that reading, though. Well Lunch Clubbers, what can we say. We've got the cool blog banner. We got the cool handshake, and the best blog orbiting the sun. Endorsements from Loren Coleman (Sorry for name-dropping Loren) How can it be any better?! How about a new URL? Yeah! Starting tomorrow you will be able to find us at www.BigFootLunchClub.com. Until then expect a few hiccups as we make this crucial transition. Why the change? Expand the full post to find out. Well all the great Bigfoot organizations have only four letters in their name; BFRO (Bigfoot Field Researchers Organization) to name one. The second reason has to do with the removal of "researcher's" from our name. Although we believe research is essential in any Bigfoot endeavor, we wanted to make sure the name of our blog and URL reflected a more casual vibe. Besides, with eleven less letters in our name that's 4015 less times your keyboard gets tapped (over the course of a year). So when you think to yourself Jeez we've had this keyboard forever thank us! We appreciate all your support as we continue to provide you with the freshest Bigfoot news anywhere on the web. Desertbigfoot.com is a site run by four guys. Read about Jeff, Vic, John and Bernie on the about us page and theres is no doubt these guys are dedicated to their craft. BfRLC Salutes you men continue the good work with your research and your site. Florida is a hotspot for Bigfoot right now. As I noted in an earlier post, there is a contest backed by Ripley's believe or not!, Haunted Attraction Magazine and Shadows in the Dark Internet Radio. 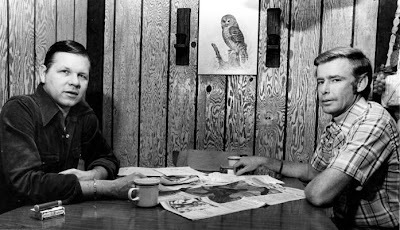 The 1980 photo above shows Marvin Lewis (left) and Ernie Milner, both former Palm Beach County Sheriff's deputies, with memorabilia about the Skunk Ape. 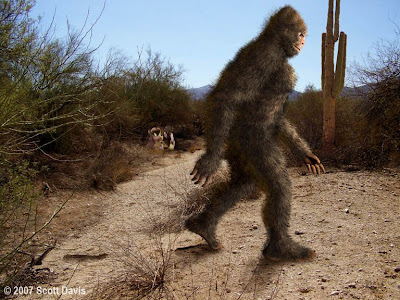 With the photo the Palm Beach Post celebrates Florida's answer to Bigfoot is a 7- to 12-foot, 300- to 700-pound human-ape thing that really stinks. To read the article expand the full post below or read the original article at the Palm Beach Post here. Readers: In honor of April Fools' Day, we bring you: the Skunk Ape! Florida's answer to Bigfoot is a 7- to 12-foot, 300- to 700-pound human-ape thing that really stinks. It supposedly hides in muddy, abandoned alligator caves, thus the smell. For more than two centuries, people have sworn they saw it dash across the Everglades or retreat from a rural road. In Palm Beach County and the Treasure Coast, barking dogs, petrified security guards and bug-eyed kids bear testament. There are photographs, grainy and distant, but attested to by their bearers. More than 75 sightings were reported in Florida in the past two decades. The scare had started when an amateur archaeologist claimed he'd seen the thing in southwest Florida's Big Cypress Swamp. But it was concentrated locally in the 1970s, when South Florida then had more open space and about half the people it does now. A local dispatcher said he was advising lawmen that locals were so jumpy the cops should identify themselves when they approached homes. "I know it exists," Palm Beach County Sheriff's deputy Marvin Lewis said in 1980. He said he and fellow deputy Ernie Milner made some 50 forays to the wild. They said they shot something in 1974 west of Lantana that grunted and fled back to the dark. Another time, they found mysterious hair on a barbed-wire fence. Lewis put in 27 years and retired in 1997. He hasn't changed his mind. He said recently that any along the coast were long ago driven west by encroaching civilization. "I couldn't point to a photo and say, 'That's what I saw,'" he said. "But cops act on investigation and evidence. And the evidence says something was there." News Review Today alerts us of a children's book series featuring a loving character named Bart Bigfoot. Together, Barnes and Roseburg artist Dave Ewart have hatched a gentle-faced, mixed breed of man and beast named Bart Bigfoot. The author and illustrator team finished the third book in the series just before Christmas. Since then, Barnes has been busying herself with book signings and readings to introduce the friendly character to Douglas County children. The three books — “”Bart Bigfoot and the Red Fox,” “Bart Bigfoot Helps Green Snake” and “Bart Bigfoot Believes Christmas is Love!” — explore Bart’s life as he manages a farm and befriends the creatures in the hills that surround him. 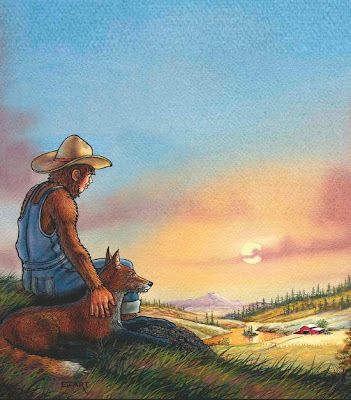 Each book has a message — respecting privacy, caring for others, trusting and forgiving — and the pages are filled with lifelike watercolors of Bart and his menagerie of animal friends as they traipse through the countryside. You can read more about the series and author here. Today, April 01, 1969 in Skamania County, WA. An ordinance written and then made legally binding in 1984. We had written about this before and even invited you readers to join us in a celebration in Skamania county. There will be another celebration this year and we encourage you to go.Visit the official website here. 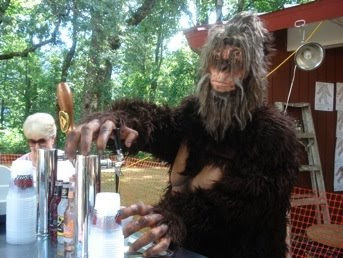 Where else can you have bigfoot draft beer for you at the tap.